Solid Wood Platform Bed and Bedroom Furniture Denver - Dapwood Furniture Co.
Home to over 200 parks that commemorate nature amidst a bustling cityscape. Dapwood Furniture is the natural choice for Coloradans seeking the healthiest sleep. Our platform bed frames are as close to nature as you can get. Each bed frame is meticulously handcrafted with solid wood from American forests that are free of toxins, ensuring you a restful nights sleep. Dapwood designs are timeless, their clean lines and emphasis on premium quality American solid wood makes them ideal for Colorado’s diverse living style. Since each bed is crafted to your exact specifications, each is a one-of-a-kind artistic expression. Our unique construction insures that each bed frame is easy to assemble and remains solid throughout its life. Dapwood Furniture is hand crafted in Albuquerque using old world standards that are always free of toxins and VOCs. Dapwood Furniture can do this because we use only sustainably harvested premium American hardwoods which are renown for their purity, beauty and strength. Using high-quality natural solid wood guarantees years of healthy sleep. Dapwood furniture is ideal for people that often find themselves on the move since Dapwood’s bed frames assemble and disassemble easily due to their unique construction. Plus they ship quickly and efficiently via FedEx Ground since we are just down Interstate 25. Our hand rubbed natural finishes bring out the character of the wood and resist scuffs and dings. We believe in only making the healthiest product around so we do not use paint or apply any petroleum based chemicals of any kind. Dapwood Furniture is proud to offer the highest quality line of platform beds that live up Denver’s partnership with nature. Rest easy knowing that when you purchase a Dapwood platform bed frame, you have acquired the most environmentally safe bed frame available at any price. At Dapwood we understand that we need to do more to ensure a better future for the generations to come. That is why we work continuously work toward sustainability and are a certified B-Corporation. 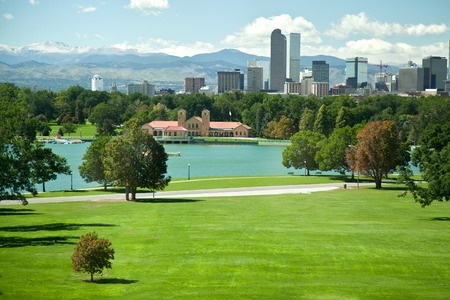 We don’t talk about being green- we live it like Coloradans. If you are tired of your bed frame and other furniture containing formaldehyde and various chemical cocktails, check out Dapwood. Buy Dapwood and experience a healthful night sleep at a mile high.